The Road Ahead for The Wandering Friar. I am nearing the end of the summer while assisting at San Pedro Parish in Tavernier, FL on the Florida Keys. It is quiet here and I have time to reflect,to read and to work on new homilies and talks. As many of you know my summertime is different from my schedule during the school year. Parishes generally do not schedule missions so my ministry takes some different twists. This summer I preached to retreats, one to men and one to women. At the end of May I found myself with the Divine Word community in Bordentown, NJ. I was impressed with the international flavor of this missionary community of men who serve the Lord in every corner of the earth. A few weeks ago I traveled to Cincinnati to preach to the Franciscan Sisters of the Poor. They gave a retreat to me as much as I gave to them. This was a community of dedicated women who truly serve the poor in every way, from inner cities, to homeless shelters to centers for addicted women and prostitutes. May the Lord continue to bless their work. I took vacation in Wisconsin and was delighted to reconnect with friends up there from my days of serving at St. Peter the Fisherman in Eagle River. Before and after Wisconsin I found myself in Chicago for two great events. One was the Annual Assembly of the Association of US Catholic Priests, an organization dedicated to the full implementation of the Second Vatican Council. It was an encouraging and uplifting gathering of priests who were shaped by the vision of the Council. After Wisconsin I attended a gathering (one of four around the country) in Chicago of friars from each of our US provinces as we engage in a process of restructuring, reducing the number of provinces so that we can better live our Franciscan vocation and better serve the Lord and the Church. Participating in all of these events has focused me on the road ahead, for myself, for the order and for the Church. I will share my thoughts concerning our order and the Church in upcoming blog posts. For now a bit about myself and where I am headed in my life. I am 71 years old, and while feeling healthy and vigorous, I am slowing down. My province of the friars will permit me to retire at age 75, though I will not be required to do that. 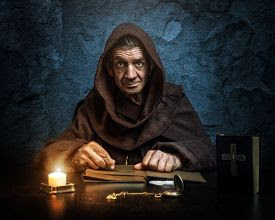 For us retirement does not mean that we cease being priests and friars but rather that we can be free of heavy administrative responsibilities and engage in as much or as little active ministry as our age and health demands. I hope to be more active. I do hope to keep preaching retreats and missions, but not as frequently. I hope to continue to write, be it books, articles, this blog and other internet writing. One last request. I have felt less inspired regarding this blog for the past year or so. What topics would you like to see me address? I will not enter into discussions of the elections. I will write about any spiritual or theological topic. I will also write on social issue from the viewpoint of Biblical and Church teaching rather than as a liberal or conservative. The truth is that I don't fit into either of those miolds. On August 15, 1963, on the Feast of the Assumption of Mary, I first put on the Franciscan habit. One year and one day later, on August 16, 1964, I professed temporary vows as a Franciscan. For all of the time since I have been striving, as the title of my latest book says, to follow Jesus in the footsteps of Francis. Even though it was four years before my final profession and eight years before my ordination as a priest, I knew in my heart that being a Franciscan and wearing the habit, was to be my life. What I did not know, on that August day was how different the world and the Church would be in the years ahead. It did not take long for the world and the Church to change. In November of my novitiate year president Kennedy was assassinated. Shortly after my first profession the vernacular language was introduced into the liturgy and the altar was turned to face the people. As my seminary years progressed up to my ordination in May, 1971, the world and the country were in turmoil over the Vietnam war, protests were going on over that, and then the civil rights movement took hold. In 1968, at the end of my first year of theology, both Martin Luther King, Jr., and Bobby Kennedy were assassinated. As I completed my theological studies a human landed on the moon and turmoil continued. 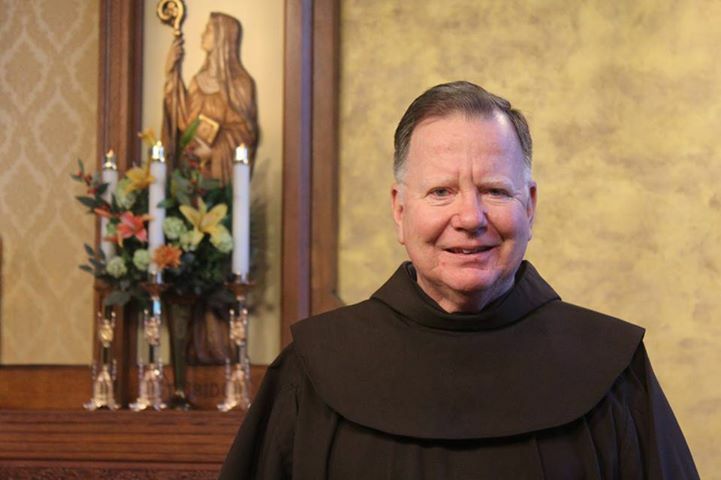 I won't list the all of the further changes that took place, but events like 9/11 certainly come to mind, a shocking time for the world, and a day on which we lost a wonderful friar, Fr. Mychal Judge, OFM. With all of the political and ecclesiastical changes that place there also came microwave ovens, computers, smart phones and all sort of technological advances. Certainly in August of 1963 I did not know what a blog was, and here I am writing on one. Needless to say my understanding of being a friar, of wearing this brown habit with its cord and hood, has grown as well. 1. Fraternity. We are a brotherhood. The call of the Second Vatican Council to return to the spirit of our founder has deepened our sense of what this means. We are less institutional than we were before, but this quality of brotherhood (sisterhood for the Franciscan sisters) is a real, tangible and important part of my life. My brothers have stood by me, and I by them, through thick and thin. That will be true even as a move into old age. (At 71 I'm notold yet). That is a blessing. 2. Minority. The M in OFM stands for MINOR. At the time of St. Francis there were two classes of people, the MAIORES, or powerful ones, and the MINORES, the little, ordinary people. This latter group not only included the very poor, but also those who were excluded in some way, who did not have a say, those whom Pope Francis names as those living on "the peripheries" of society. For me, though like other first world friars I struggle to truly be a minor, my encounters with folks in places like Buffalo, NY, Camden, NJ, the Bronx, Bolivia, Honduras and mid-town Manhattan as well as many of my students at Columbus High School in Boston's North End, have given me a more compassionate heart and have brought me closer to Christ. Speaking of Pope Francis, his message is only calling us to deepen our living of this quality of minority. 3. Prayer. Obviously as a priest and religious prayer is important. While my own fidelity to prayer can always improve, it is the glue that holds our life together. In addition to personal prayer I am finding in recent years that the steady and ongoing participation in community prayer, the Divine Office, even when at times it can be celebrated better, is an ongoing reminder that faith is what makes our life tick, that our brotherhood/sisterhood is based on being children of one God. Indeed the world is much different than it was in 1963. I celebrate these days not as some type of accomplishment on my part, but in gratitude to God whose grace has made it all possible.